NLB has a large selection of braille books for children, adolescents and adults. You can borrow books in all genres, from crime and fantasy to biographies, short stories and historical novels. Is there something you would like to read in braille that is not available in our collection? Tell us what you would like! To the extent possible, we produce what you wish to borrow. We offer braille for all levels. For beginners it is possible to start reading books with double line spacing and single-sided print. Tell us the form in which you would like to have the book, and contact us for help finding books that suit your level. 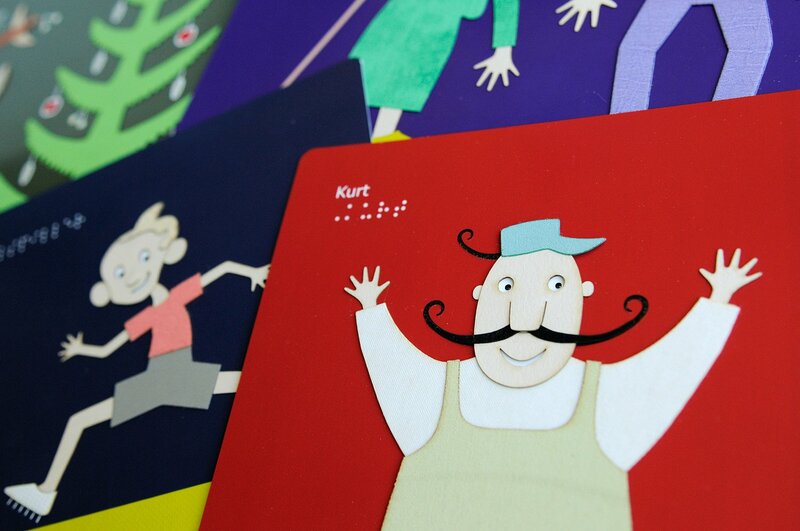 To enable braille readers to read for sighted children we produce ordinary picture books with braille printed on transparent sheets. Comedy club – a volume of funny stories for children. Double line spacing and single-sided print. Adults are also welcome as members. Short story club for adolescents – Norwegian and translated short stories, both new titles and classics. Choose between single and double line spacing. Short story club – Norwegian and translated short stories, both new titles and classics. Choose between single and double line spacing. Poetry club – a small selection of poems on various subjects. Single line spacing. Lifestyle club – various topics such as self-development, sports and nutrition. Single line spacing. Food club – 4–5 tempting recipes. Single line spacing. The Braille Club is for visually impaired children of primary school age learning how to read braille. 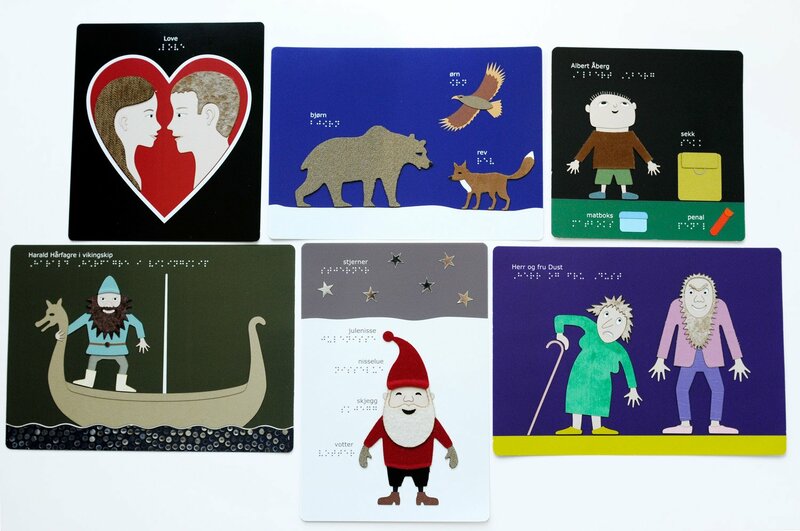 Tactile pictures in different materials are used as motivation for training when learning braille. As a member of the club, you will receive four packages each school year. Each package contains a tactile picture, an age-adapted text in braille, a simple recipe from year 2 onwards, and now and then a little surprise. The braille club came about as a collaboration between NLB and the parents’ committee of the Norwegian Association for the Blind and Partially Sighted. The ExtraStiftelsen foundation has funded the production of the pictures.